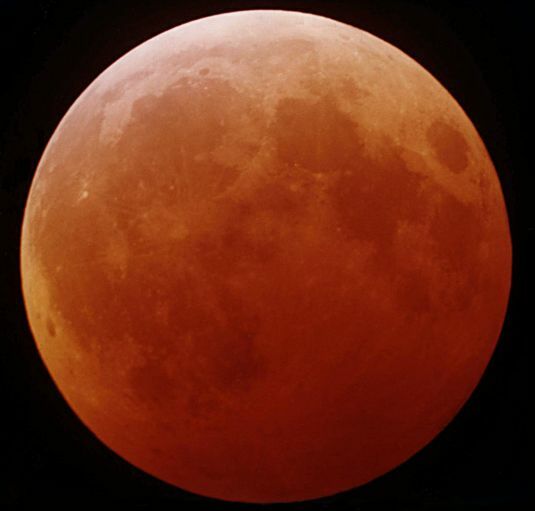 Explanation: The first and only total lunar eclipse for the year 2001 occured on the evening of January 9/10 as the full Moon glided through Earth's shadow. 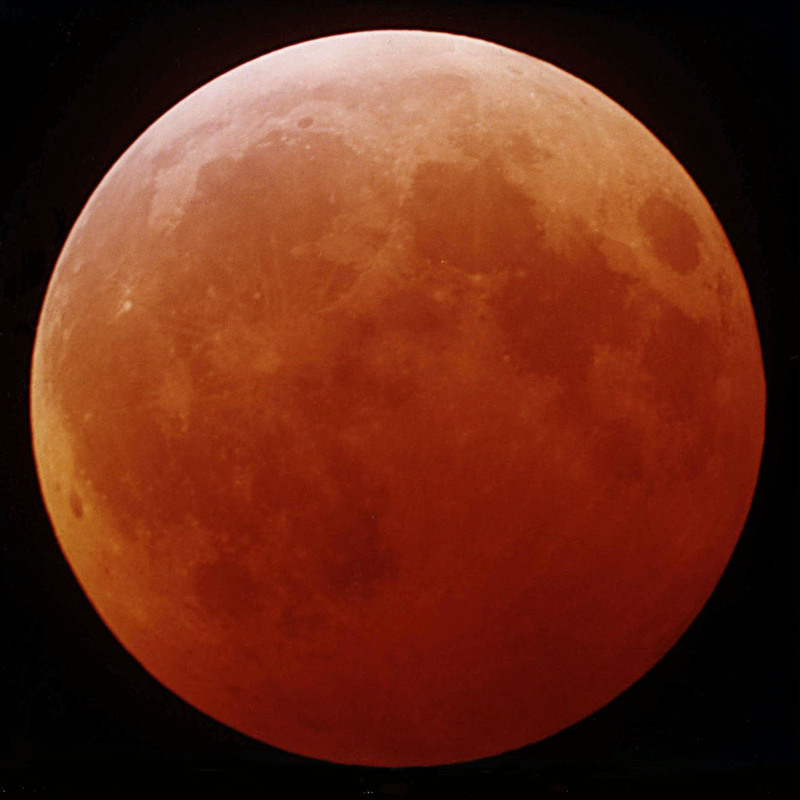 Unlike a total solar eclipse, a total lunar eclipse is visible for anyone on the night side of the planet during the event. The night side for this geocentric celestial event included Europe, Asia, and Africa where the Moon could be seen immersed in the umbra or dark portion of Earth's shadow for about 62 minutes as it passed just north of the shadow's center. This dramatic telescopic photo of the eclipsed Moon was made near Ankara, Turkey close to the time of midpoint of the total phase. The fact that the northern (top) portion of the eclipsed Moon is clearly brighter, even near mid-totality, demonstrates that Earth's shadow is not uniformly dark.